Below you will find a tutorial teaching you how to update the class/year group for an entire class/year group. 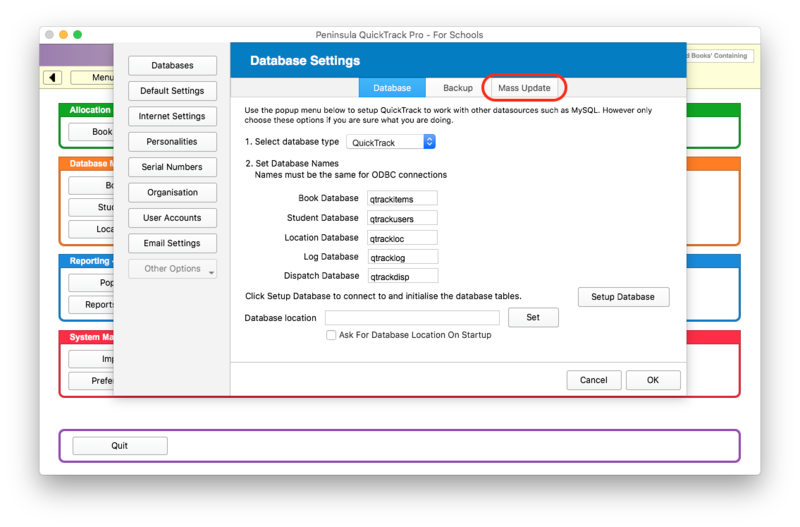 Please note this guide requires that you are running at least version 8.6.22 of QuickTrack Pro For Schools. 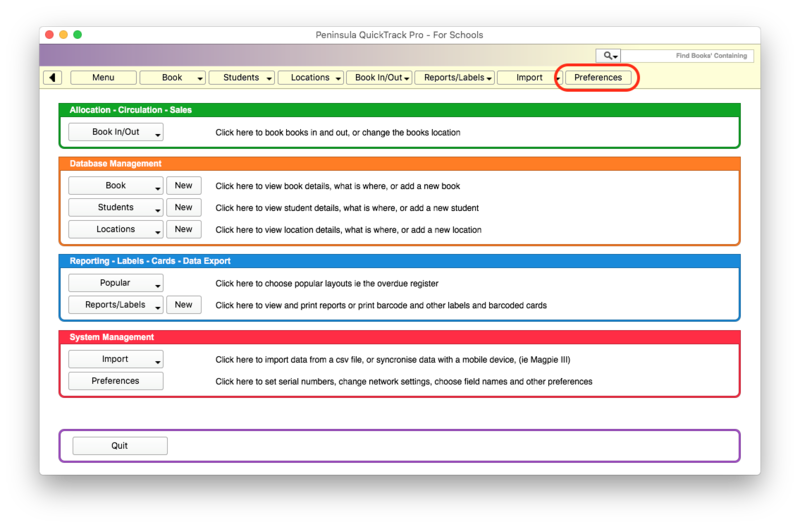 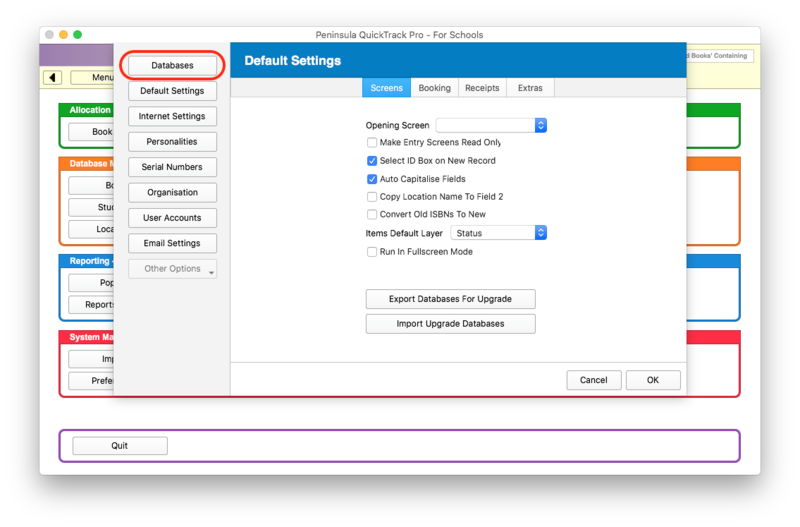 Open the QuickTrack Pro For Schools Software and select "Preferences". 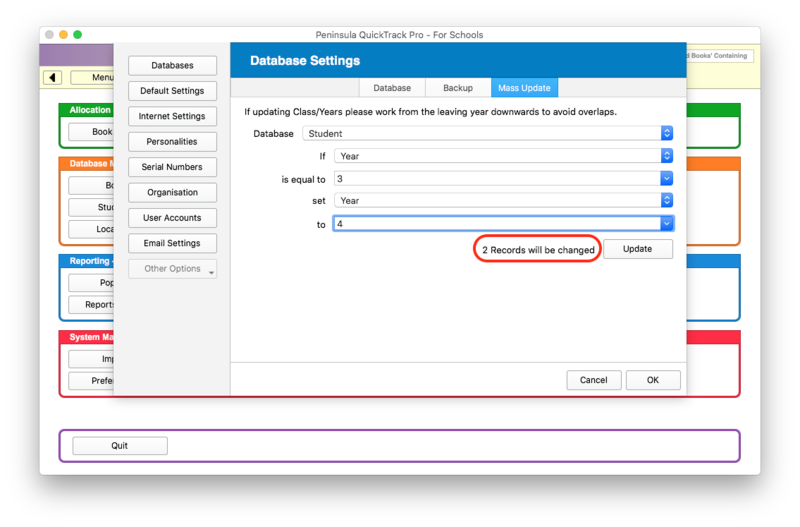 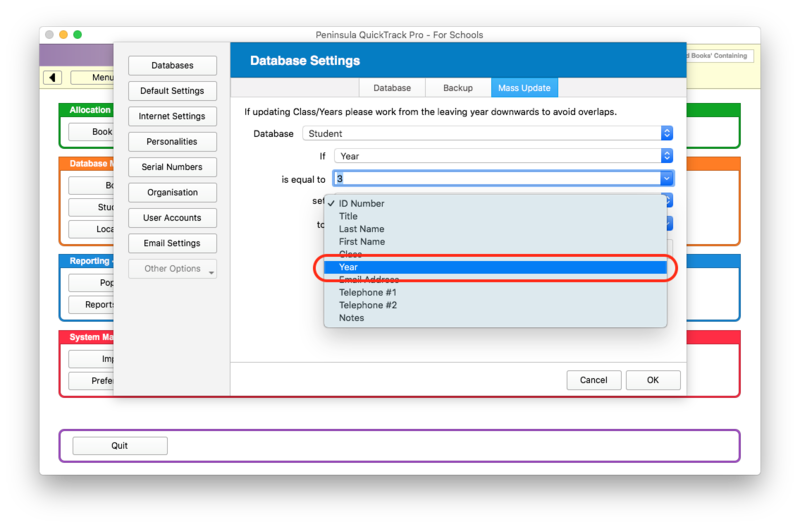 Select "Databases" from the sidebar on the Preferences window. 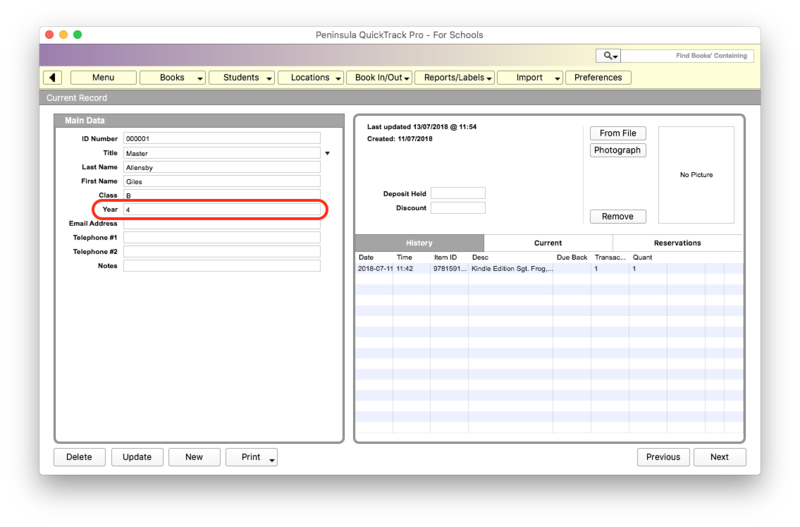 Enter the value you would like to set the Year field to.